We can add any analytic services you would like, and show you exactly how to monitor them. We will advise you on key metrics you should be looking at to improve your business, as well as how to increase them. We can deliver weekly or monthly reports on how your digital marketing is performing so that you know exactly how your online business is progressing. We will customize the reporting so it is easy to read and jargon. Analytics are useless without action being taken afterward; Smartlinks will advise you on how to use your data to ensure your business continues to grow both digitally and offline. Analytics are an important part of any website strategy, particularly those sites which are aiming to promote a business. The reason for this is that analytics make it possible to gather a lot of useful information about the people—potential customers—who are visiting your site. You’ll be able to see data including information like where the visitor is located, when they visited the site, where they went on the site, and how long they remained on your website. Why is this data so important? It’s because by collecting it over time, a business owner will be able to see which parts of their site is most important, and which parts might need some work. If most of your customers are interested in the topic on a particular page, you might benefit greatly from reexamining and optimizing the content or products for sale there. Without analytics, you’re essentially in the dark about this kind of information. 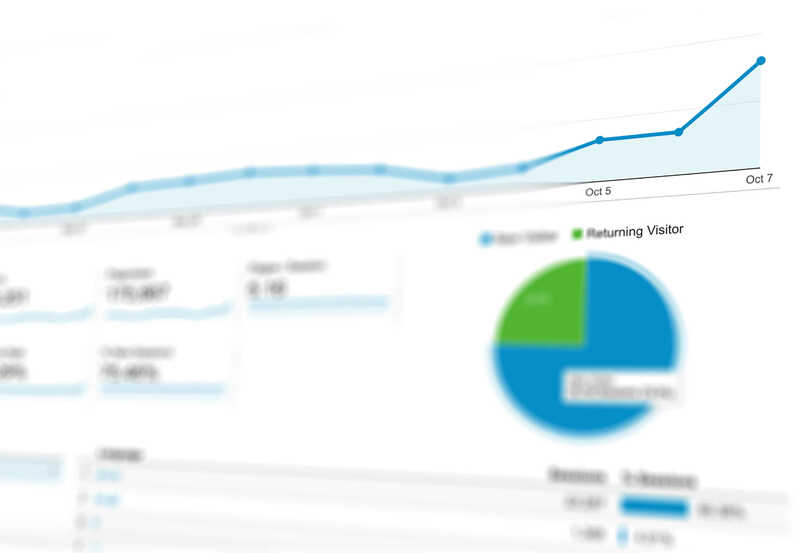 Another reason analytics are incredibly important and beneficial is because this data will allow you to know exactly how many people are visiting your site. Not only how many, but at what times of the day, week, month, or year—this is all valuable information for any business. By knowing how many people are visiting your site, you’ll be able to more effectively gauge the success of your marketing strategies. You’ll also have an idea of when your visitors are most active, and this can help in secondary ways, such as knowing the best time to send out an email to your list of subscribers—sending it at the right time of day means that your customers are more likely to see it. Additionally, analytics let you see all of the above information in addition to being able to know where on the internet that your potential customers are finding your site. Analytics software will be able to track the searches people use on search engines like Google, Yahoo!, or Bing, and you’ll have a much deeper insight into the things that your customers are interested in. Analytics will also help you improve your social media efforts, since you’ll be able to see which platforms are sending your site the most traffic. For example, a particularly popular post on Facebook might have sent you a lot of traffic—you can use this data to try and recreate the effect again in the future. Why Us? Having an analytics platform that not only provides you with useful data but is also reliable and accurate is incredibly important. Smartlinks can help get you set up with this kind of data, since we’ve been doing it for years and know the best tricks of the trade. Once you’re all set up, you’ll have access to all of the important metrics and information that we’ve been discussing here today. If you have a website without analytics, you’re missing out on a major opportunity to get to better know your customer base.